I find Boxing Day sales somewhat grotesque. For a number of years now I’ve avoided Boxing Day sales (equivalent to Black Friday sales in the US) like the plague- the hot, sweaty scrum of people in claustrophobic shopping centres being brainwashed that $10 off something you would never have bought not on sale is an absolute bargain- especially if that item is not your style or something that you will only wear a couple of times. I like reading about the origins of Boxing Day- a day for house servants to go home to visit family, a day for people to box up leftovers for others to take home, or a day to give to charity or volunteer (I famously told my teacher at age 7 that Boxing Day exists so you can punch people and not get in trouble for it– explains a lot.). It leads into this funny little pocket at the tail end of the outgoing year where you can take a bit of time and take a breath before launching into the new year all guns blazing. This year I spent Boxing Day revelling in my small summer capsule wardrobe, filled with vintage one off pieces and sustainably sourced silk. I decluttered, spent time with family, and took things really slow. The past few years we’ve tried to include the beach and cockling into our own Boxing Day tradition, as well as a spot of surfing. I went on an email unsubscribing spree, started a podcast on slow living and looked into volunteering opportunities for 2017. 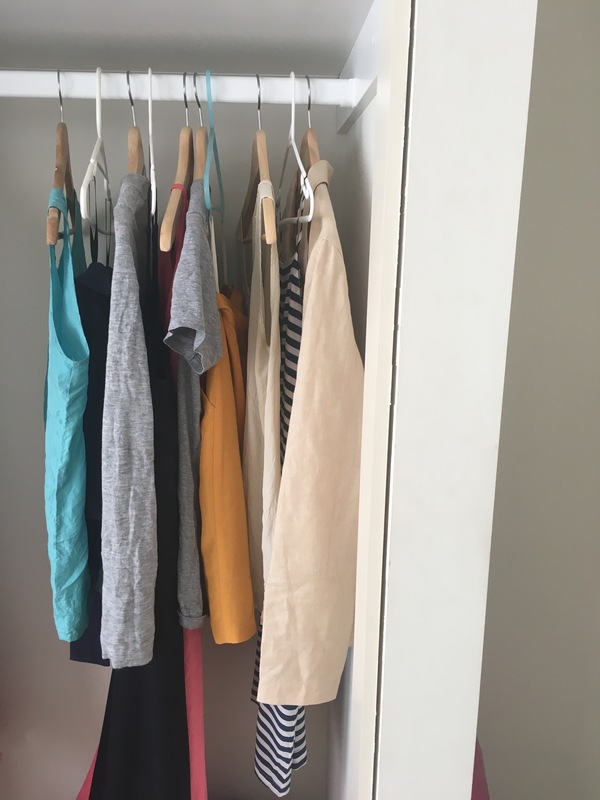 Shop your closet– I think it’s the perfect time to re-evaluate your wardrobe and donate things you no longer love or wear, and to change your clothes to suit the season, and identify things that need cleaning or mending. More often than not I’ll find an item I had forgotten about but that I love and that fills me with more joy than running around in the heat sweating and carrying multiple plastic bags filled with new clothes. I’m not a minimalist, but I create a capsule wardrobe for each season- this helps me identify pieces I truly love and are versatile, and helps weed out things that no longer work for me- it’s a slow mindful process that eventually (hopefully) results in a wardrobe of things I love dearly. Eat all of the leftover mince pies so in reality there is nothing to send home in boxes with anyone. Because you have scoffed them all.